It is the event show to top all event shows! 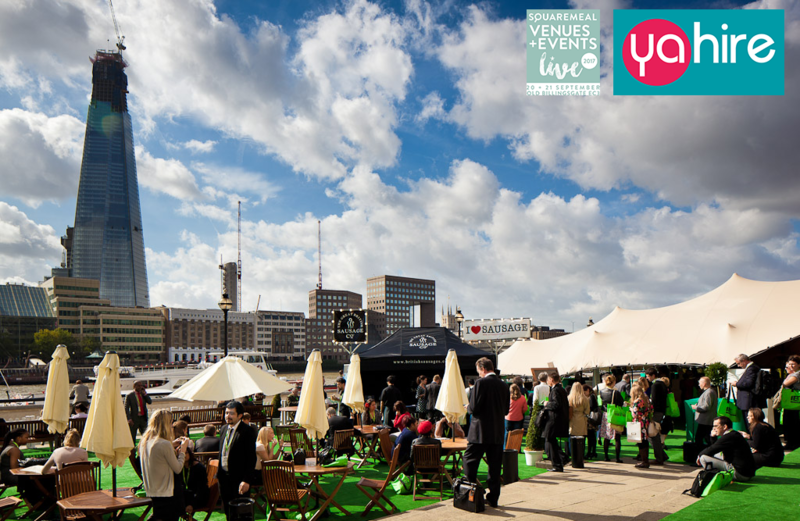 Squaremeal combines the industry’s top event suppliers and venues to inspire you to produce spectacular events yourself. Taking place over two days on 20th and 21st September, located at Old Billingsgate, 1 Old Billingsgate Walk, London EC3R 6DX. If you are even tenuously involved in the events industry this is one show you cannot afford to miss. With top experts in every field imaginable, there are speakers, workshops, masterclasses and talks, all guaranteed to get your mind buzzing with great new ideas. Situated over five massive floors in the stunning building and in striking spaces such as the Grand Hall, The Vault and The Gallery, you also get magnificent views of Tower Bridge, The Shard, City Hall and London Bridge. So who will be presenting at Squaremeal 2017? Exhibitors including Ascot Racecourse, Arsenal FC, The Barbican, Bea’s of Bloomsbury, Center Parcs, Clevedon Hall, Disneyland Paris, Goodwood Estate, Hard Rock Café, Jamie’s Italian, Lord’s Cricket Ground, Museum of London, Roux at Parliament Square, Silverstone Racecourse, Stowe House, The Langham, Warwick Castle, Westminster Abbey and much much more. As well as event exhibits there are masterclasses where top experts in their industries give invaluable tips and advice. One masterclass that is guaranteed to be well-attended is In Conversation with Raymond Blanc, the Michelin-starred restauranteur who will be revealing how he scales up his Michelin restaurants in order to cater for larger events. Fran Cutler, party-planner to the stars, will give her industry secrets on how to organise and plan the perfect party, and Heather Steel from Squaremeal will showcase the hottest new venues that you should know about. If you prefer to get a little more hands on, then there are plenty of workshops where you can learn different skills to help you put on the best event ever. For instance, you can attend the canape-making class with industry-experts who will teach you how to make the perfect canape. There are also sushi lessons, cupcake making, how to pair cheese and champagne and even improving your social skills. So, whether you are an event manager, organiser, or you work as PA for an event company, why not get inspired by the award-winning exhibition by Squaremeal? Remember, tickets are free if you work in the events industry.